Acclaimed dietician and the founder member of Diet Clinic, Sheela Seharawat believes that the greatest factors that have been identified by close observations on the subject are ignorance and illiteracy. These two factors have been specifically identified as the keys factors in the poor populations, especially amongst women, youth and children in the rural and downtrodden areas. The inability of getting full knowledge and poor access to information are the main causes. Those who have been suffering from the virus knows how much pain and agony they have to go through with it. It is so dangerous that any chances of recovery are absolutely lost and it not only damages but destroys the body’s immune system (disease-fighting mechanism). 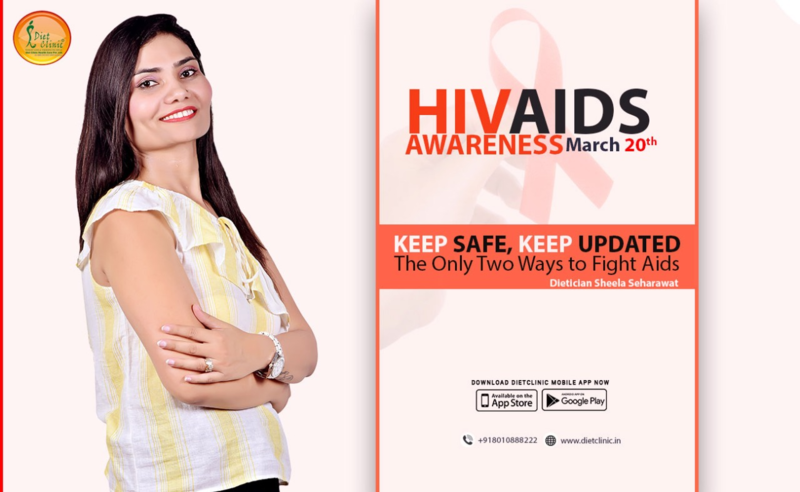 Moreover, people who get affected with it comes to know about it at a very later stage and that too after an HIV and AIDS test. The symptoms are regular aching muscle and alike. These symptoms are majorly misunderstood and misinterpreted, even by medical practitioners. Every person has a choice. If one wants to remain free and clear of HIV and AIDS than he or she has to be ready to sacrifice. No more use of drugs of any type say goodbye to sexual promiscuity, and remain steadfast and vigilant against temptations. There are many ways to check whether one is AIDS, but the best way to know if one has HIV and AIDS is through laboratory tests and keep educated about it.